WOONSOCKET, R.I. — CVS Health has appointed Thomas Moriarty to the new position of chief policy and external affairs officer. He had been executive vice president, general counsel and chief strategy officer. In addition, CVS has consolidated corporate communications, legal, government affairs and public policy into one operating unit under Moriarty, who continues to report to president and chief executive officer Larry Merlo. In his expanded role, Moriarty is responsible for leading a team with an integrated range of capabilities to impact and shape national and state-specific public policy for CVS Health and its various businesses. In effect, Moriarty and his team will help promote the company’s role in reshaping the health care industry to be more accessible and affordable and to deliver better health outcomes for patients. “Tom has been an integral member of the CVS Health executive team as chief strategy officer and general counsel, and brings a tremendous wealth of public policy expertise to his expanded responsibilities that allow us to bring greater value to the health care system,” says Merlo. “Tom’s new role will deliver an integrated approach to policy development and external engagement so the company can contribute to the public dialogue and bring forth innovative solutions to important legislative and regulatory proposals. 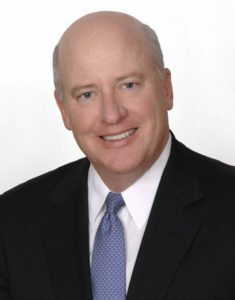 Moriarty joined CVS in 2012 and has held several senior positions, including chairman of Red Oak Sourcing, CVS’ generic drug sourcing joint venture with Cardinal Health Inc.
“The public policy and health care landscapes in the coming months and years will be some of the most important of our time for our communities and country in terms of patient care and strengthening the delivery system,” Moriarty says. “As a company that touches more than 100 million consumers and patients at multiple points along the health care continuum each year, we have learned valuable lessons on how to drive better patient outcomes and lower health care costs.